Samsung has released its quarterly profit estimate and it’s better than even most optimistic analysts thought. The Korean company sees its operating profits at some $3.5 billion (4.2 trillion won) against an average of $2.85 billion (3.4 trillion won) suggested by analysts. That’s a 12% increase on the quarter, but a 14% decline when looked on a year-on-year basis. 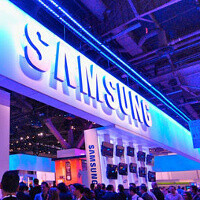 “Samsung’s estimates are far better than expected. Its telecommunications business is seen very positive as shipments of smartphones and other high-end handsets expanded,” Park Jong-min, a fund manager at ING Investment Management, said. Samsung is projected to surpass Apple as the biggest smartphone maker in the world this very quarter. Last trimester, smartphone sales at Samsung stood at around 19 million, just a million short of Apple, and this quarter a dramatic increase to 28 million is said to leave Cupertino trailing. Everyone expected Samsung’s phone business to drive profits up, but the company’s estimate shows that it has surpassed all expectations. "The Galaxy S II probably played a key role in boosting the company's earnings and it will continue to do so pretty much unchallenged, until Apple unveils a better new version of iPhone," Kyung Woo-hyun, a fund manager at Daishin Asset Management, said. Previously, the company has mostly relied on its memory chips for profits, but lately as chip prices continue their decline, handsets have taken over as the company’s brightest spot. The Samsung Galaxy S II will be key to continuing that success as it faces the iPhone 4S stateside. Right after the somewhat underwhelming Apple release, Samsung released a comparison table showing that technically its S II is thinner and more powerful than the iPhone 4S. The Koreans are also said to have the biggest competitor to the iPad in the form of the Samsung Galaxy Tab series. Let the battle begin. iPhone preorders are live right now. Can Apple do 5 million in one weekend? Trust me I'm making an educated decision. I'll pass on force close OS with no battery life and crap apps/malware/Trojan horse. I have a GS2 and an ipad 2. Malware? never had 'em. Battery life lasts more than a day but I do have it on full brightness. I love my Ipad 2 'cause it can play mkv's without a hitch even 720p unlike that s**t Tegra 2. But the ipad 2 crashes as much as the GS2 but it just brings you to the homescreen. except 1) the force close thing is pretty much ancient history 2) the SGS2 gets better battery life than the iphone4S, even by apple's charts. 3) the main apps are all the same, and same quality. While android might not have epic games developing for it, it does have the host of full google apps that apple will never see.. and people use a heck of a lot often than a game. 4) the incidence of malware on android is 0.000005% by last report. Android has also never been successfully hacked in the national hacking competitions, where apple holds the record for fastest remote hack at 12 seconds. if you prefer outdated apple, fine.. but get your facts straight. I used my friends iPhone 4 and while playing a game, it closed (basically crashed). happened with at least 3 different apps. He said it happens sometimes. taco and other iphone fans are liars. iOS also crashes apps. It just doesn't give you a notification. Android is decent enough to atleast give a message of force close. On iOS it was like WTF just happened? And what does that mean gallito? And on regards of your sales' prediction: yes! Apple will do it. iFans will make unfinished lines for buying their ultimate gadget, but mark my words: they'll buy the iPhone 4S not for being the best gadget in the market, because it isn't, but for being an Apple's gadget. How much blind can they be?? Accept this guys. The GS2 is overall a better handset than the Iphone 4S. No phone is perfect tough. to all the flaming fanboys: grow up. not everyone wants the same things. not everyone has the same needs. stop trying to make everyone think the same as you. it wont happen. if eveyone thought the same as you the world would be doomed to be full of f**kwits. let it be. you like what you like. stop being f**knuckles and let others like what they like.